After months of waiting, Daisy (Treliver D'Aquitaine) finally goes into labor seven days past her expected due date. 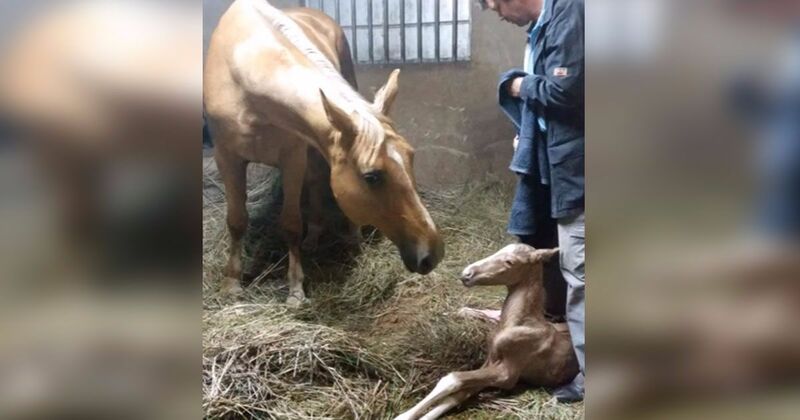 Within a few hours, she'd given birth to a beautiful foal. 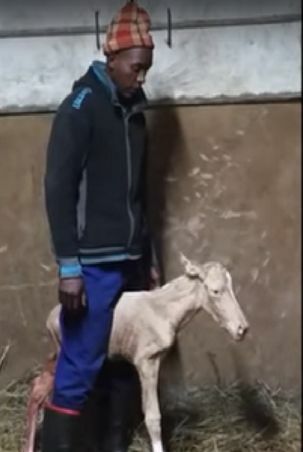 The foal was healthy, but she was small for her mother's size. Daisy stands about 18 hands high, so Jenni Benson and her husband Guy were expecting a larger foal. Jenni sat with the foal and mother as the little one took his first breaths. Jenni and her husband attended to the little one for a few minutes before Daisy started to deliver the afterbirth. That's when they noticed that Daisy wasn't done! "Daisy looked like she was in proper labor again. She lay down a couple of times and was pushing. I felt inside her and felt two feet." 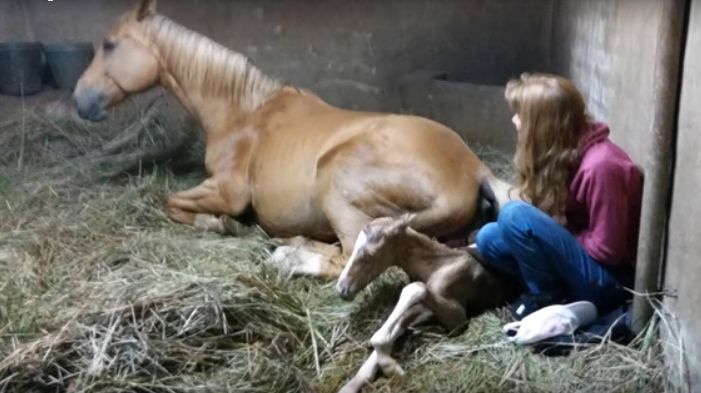 All three horses survived labor and delivery, a miracle considering that the odds of both fetuses surviving to birth are low. 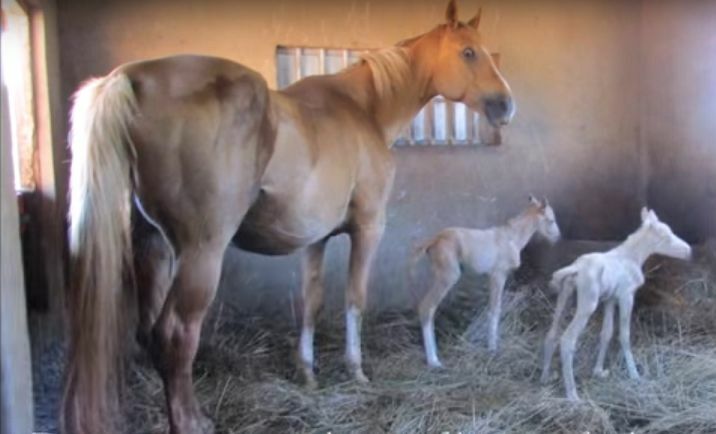 Good outcomes of these births are rare, according to Equine News, as the labor can be very difficult for the mother and the foals. Fortunately, this tale has a happy ending! All three horses are happy and healthy! Don't forget to watch the clip below.